The Drager FPS 7000 full-face mask series sets new standards in terms of safety and wearing comfort. Thanks to its newly designed ergonomics and the availability of multiple sizes, it offers a large, optimized field of vision and a very comfortable, secure fit. Field of vision and mask body - The new full-face mask Drager FPS 7000 has a large distortion-free polycarbonate visor, which provides you with an exceptional wide field of vision, even in difficult situations. The visor does not mist due to a well thought-out air circulation and is available with different coatings. The mask body made of either hypoallergenic Silicone or EPDM provides an especially comfortable fit. 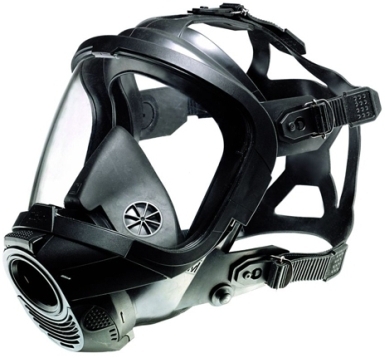 Fit - The full-face mask Drager FPS 7000 has an outstanding head and face fit. The ergonomic head harness and the double sealing line ensure a secure and comfortable fit on all face shapes and contours. The head harness of the Drager FPS 7000 also ensures that the mask can be donned and doffed easily and quickly. Mask-helmet combination - For those who use mask-helmet combinations the newly developed adapter offers a new level of safety. For example, when combining the Drager HPS 6200 with the new full-face mask, the newly developed and patented Drager Q-fix connection prevents the unintentional release of the attachment. Integrated accessories - The newly developed communication system Drager FPS-COM optimally adapts to the design and ergonomics of the mask. Depending on what is required, it can be chosen with different modules and offers the optimal solution for each communication in the field. Whether radio, voice amplifier or head-up display, everything can be directly integrated into the mask and is easy to use. Modularity - Naturally, Drager Safety pays close attention to our customers needs. The full-face mask Drager FPS 7000 is not only safer and more comfortable; it also has more flexible options than previous models. Whatever may be needed during operation: It is quickly attached and ready for use. Maintenance - The special accessories and simple maintenance of all mask parts make the Drager FPS 7000 not only very economical and easy to service, but also flexible and versatile in its use. Drager FPS 7000 - another quality product of Drager Safety.